Meet autism advocate and attorney Areva Martin who is currently representing Vityut Gopal and Parul Agrawal, and their son with autism as neighbors have filed a lawsuit in an effort to have him declared a public nuisance. Meet 12 contributors who earned honors for their contributions to APM in 2015. Erasing the Prejudice – Are People on the Spectrum Really More Violent? A Certified Autism Specialist and mother of a teen on the spectrum shares information on whether there is a link between autism and violence. Includes interview with Professor Tony Attwood, a clinical psychologist and specialist in autism disorders. A mother of a child on the spectrum shares her inspirational tips for improving all aspects of life in the new year. A mother shares her success using a teaching and communication method that uses positive reinforcement of behavior utilizing an acoustical signal to “mark” the behavior. Learn about a technique which helps a child know when he/she will receive undivided attention as a means to reduce anxiety and potentially improve relationships. Quick tips for parents on how to detect if a child is being bullied along with ways to help identify bullying behavior. A young man with autism who works in the medical field and is a professor of theology shares his former job struggles while providing tips for helping others land the ideal position. Learn excellent ways to plan for, attend to, and prevent meltdowns. A special education teacher shares some tips to guide your discussion with a prospective school’s Special Education Needs Coordinators (SENCO). A mom lovingly reveals the struggle when both her boys were diagnosed on the spectrum and the of rewards of their journey. A man diagnosed with Asperger’s syndrome shares his most effective strategies for dealing with challenges such as everyday social interaction. As the parent of two children on the spectrum, this pastor, teacher and author shares his very personal revelation about himself and his family. The mother of six children who deals with special needs shares advice that may be helpful in helping a child overcome food issues. Lifelong educator Dr. Judith Nembhard shares her personal struggle while raising her son with autism. A London performance planned for January has been designed to provide people with special needs a more relaxed environment. The CEO of Mosaic Weighted Blankets shares how she created a product to help children diagnosed with SPD,  ADD/ADHD, Asperger’s or Autism Spectrum Disorder get some much-needed sleep. Excellent advice on how to best handle a child who relieves him/herself on the floor regularly. Simple tips on setting goals in an effort to reach long-term objectives. In this two-part series of the Dr. G Aspie Show, Dr. Lauren King, co-founder of Food Wise at Southeast Psych, joins Dr. G to discuss picky eating with kids on the spectrum. Will My Daughter with Autism Lose Her SSI If She Works? Learn how Supplemental Security Income(SSI) benefits can be reduced when a person receives earned income. Easy-to-make banana cake recipe which includes with nutritious ingredients such as apples, yogurt, turmeric, flaxseed and almonds. It’s a new year! A chance to refresh, renew and set sights on the future! One of the most rewarding aspects of acting as editor of Autism Parenting Magazine is connecting with our readers as they share both their fears as well as their dreams for tomorrow. Whether a family has been successfully managing autism for years or they have a newly-diagnosed child, it seems everyone has similar concerns: Should I send my child with autism to public school? Will he be bullied? Will my child be able to live on his own? Will he have the money he needs for future care? We work hard to continuously provide the best answers for our readers as we know how significant the most up-to-date information is to families. Most recently, concerns have escalated to more volatile topics such as: Can a child with autism really be declared a public nuisance by the courts? Are children with autism really more violent, as reported in the news? These are all serious subject matters and we aim to share the latest information and hope to help dispel the prejudice. In response to these tough questions, we are thrilled to feature an exclusive interview with Civil Rights Attorney Areva Martin. She is currently representing Vityut Gopal and Parul Agrawal, and their 11-year-old son with autism as neighbors have filed a lawsuit in an effort to have him declared a public nuisance. In her interview, Martin, who has a child on the spectrum, gives advice on how to become an autism advocate and explains why we should all be aware of a lawsuit that has captured national media attention in the United States. The outcome of this controversy, as discussed in The Never-Ending Battle for Autism Rights, has important implications for all families affected by autism. Another hot topic this month is the implied connection between autism and violence often portrayed in the news. In her article, Erasing the Prejudice – Are People on the Spectrum Really More Violent? Stephanie C. Holmes, MA, Certified Autism Specialist and the mother of a teen on the spectrum, shares information regarding whether there is a link between autism and violence. Included within the piece is a special interview with Professor Tony Attwood, a clinical psychologist and specialist in autism disorders. It’s a piece worth sharing with others. Bullying is another common concern among our autism families. 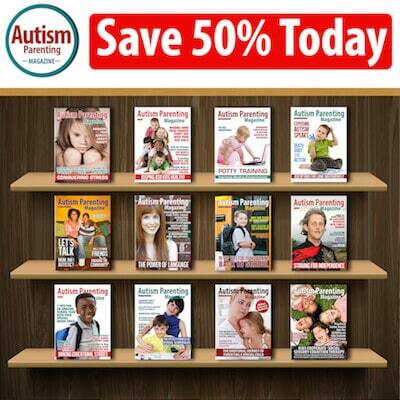 Over the years, we have published articles on how to help a child with autism handle bullying. But what if your child is not able to tell you he is being treated poorly? Take a look at How Do You Know When Your ASD Child is Being Bullied? for some quick tips from speech-language pathologist and communication expert Karen Kabaki-Sisto on how to detect if a child is being bullied along with ways to help identify bullying behavior. Tackling a new year can be exhilarating — and at the same time — a little daunting. While setting life-changing goals is commendable, it’s important to keep your list realistic. Be sure to read a piece by Michelle Myers called Starting the New Year Off RIGHT, as she provides excellent advice on ways to tackle the approaching year. From parenting and marriage to home life and self-care, Myers shares her tips for improving all aspects of life while keeping it simple. Her advice will make you rethink your approach to the new year. As you set goals for the future, be sure to also take the time to reflect on your family’s accomplishments. Perhaps take a few minutes to write down a couple of highlights from 2015 — they don’t have to be glamorous. Maybe your child finally slept in his own bed, made it through a shopping trip or tried a new food. Perhaps you were able to slip in a date night. It’s all progress. If journaling gives you a sense of peace, consider making this a part of your weekly routine. It will be an excellent reminder of progress on those more challenging days. In addition to the most up-to-date news and professional guidance for you and your child on the subject of autism, we are proud to highlight our top 12 contributors for 2015 in this issue. 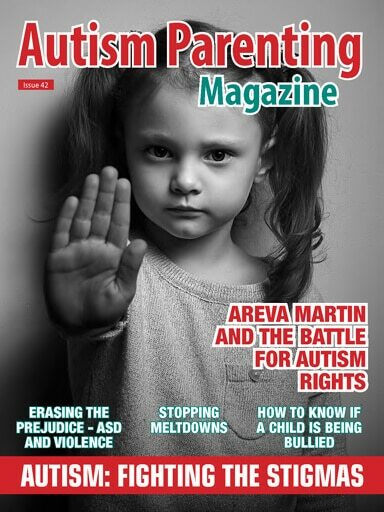 Over the past year, Autism Parenting Magazine has grown to more than 200 contributors made up of physicians, scientists, inventors, educators, writers, artists, young people, moms, dads, grandparents, siblings, and people who are on the spectrum. Together, we create a special community that families affected by autism can trust. We are thankful for everyone. As we enter a new year, we wish you the daily renewal of hope and strength along with the unconditional support of family and friends. Here’s to changing the way autism is viewed in the future. Can I just subscribe to receive the magazine per mail? What is annual cost? I am a mother, grandmother, and great grandmother of several children and adults on the spectrum and trying to help them per education from afar. I am on very limitted income but often have to sacrifice to help them with supplements, special toys etc.